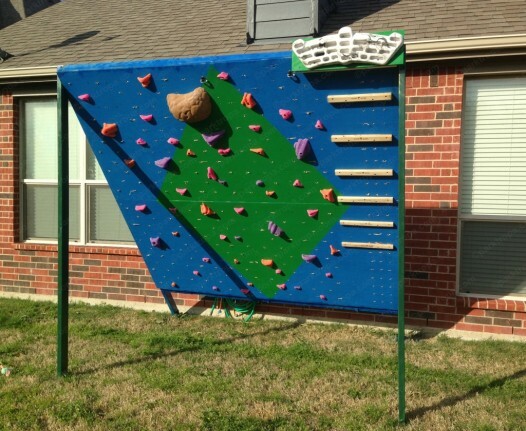 Who has not dreamed of having at home a small sports area? And the own home gym for the whole family is a dream of many! For lovers of sports lifestyle today there is a unique low cost solutions that will diversify the ordinary world of home fitness. 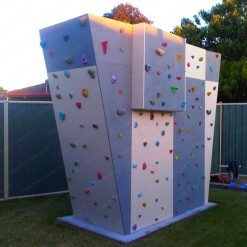 This is a home climbing wall, a real climbing simulator in your home! The rock wall at a small height is easy to install, requires no special belay devices and allows training of all muscle groups. 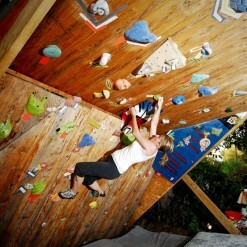 Professional athletes call such a climbing wall like a bouldering stand. 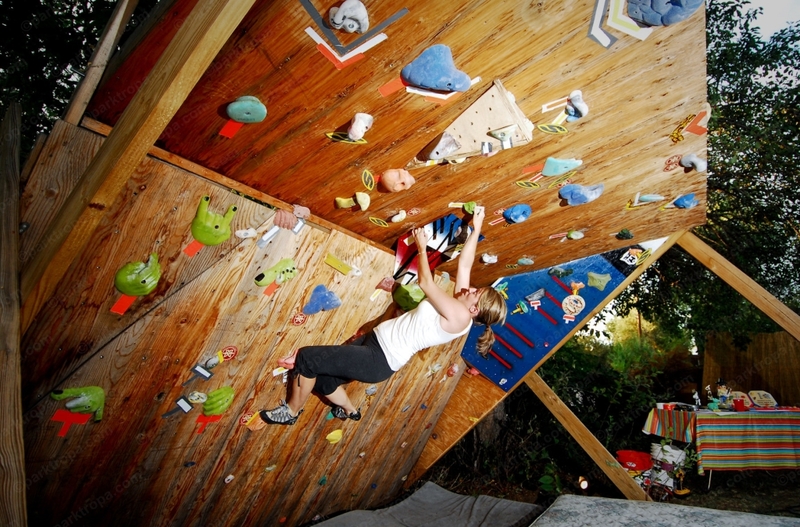 Training and athletic standards for bouldering are very popular around the world. 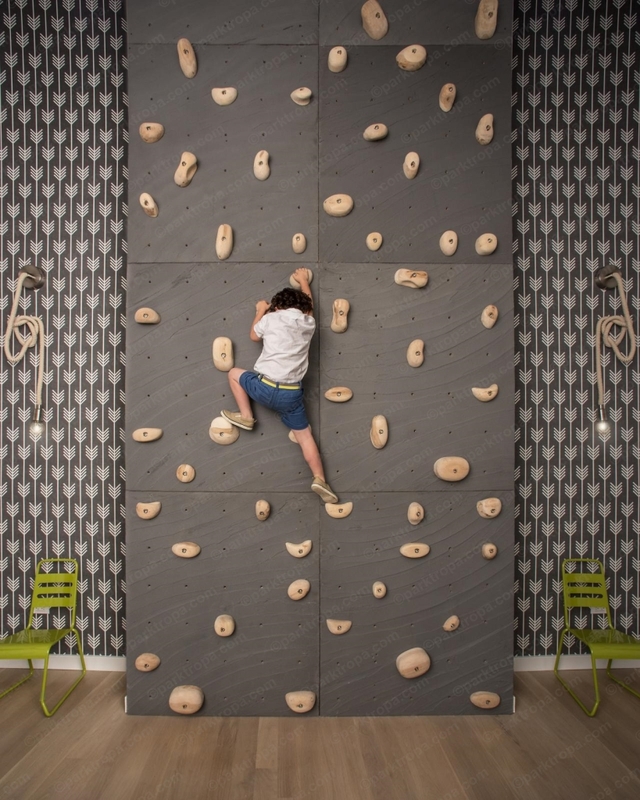 Climbing wall for a home can be an universal solution for the whole family. Adult family members can easier find time to exercise, it is not necessary to go anywhere specially. Children are busy. Training and entertainment are combined in one. Engaging the fine motor skills of hands contributes to both physical and intellectual development of the child. Simulation of new routes will allow to improve the skills and craftsmanship, will make your climbing wall constantly interesting. And how exciting is to hang new hooks! 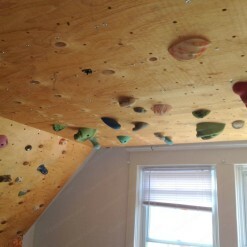 Lay the new routes! Discuss with your relatives your achievements! 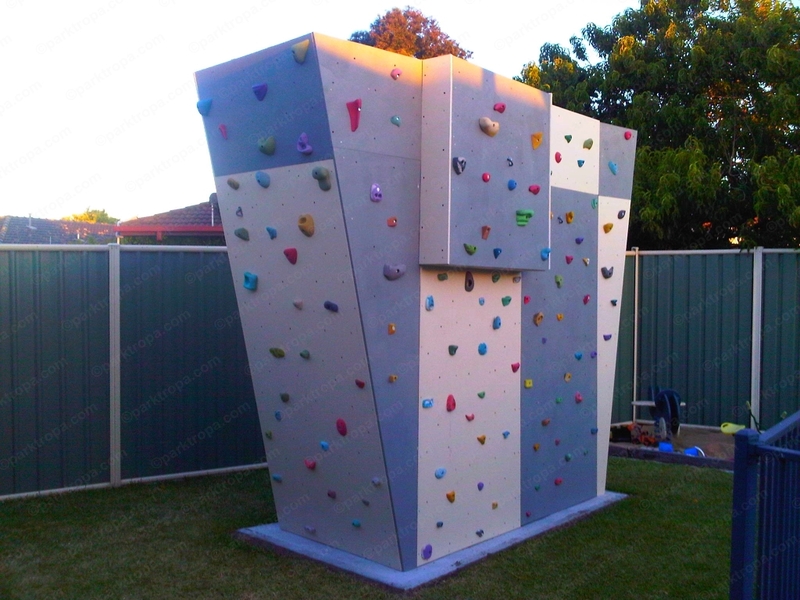 Your home climbing wall will become your favorite sports leisure! 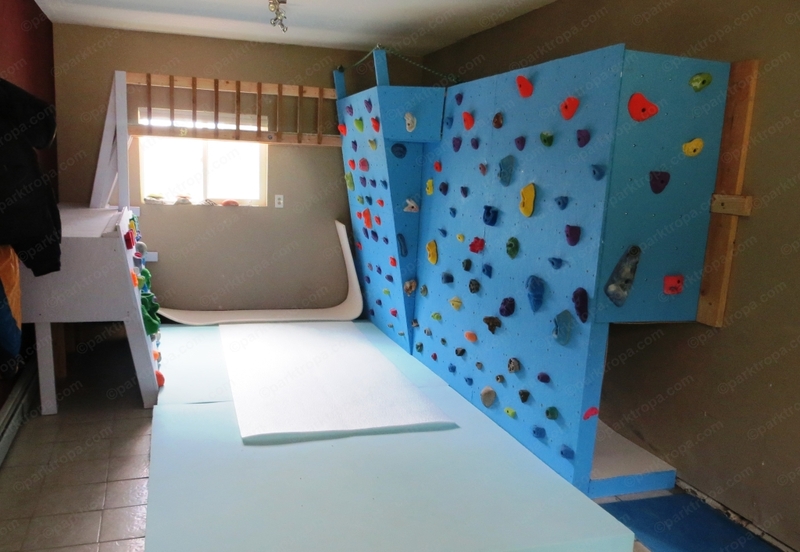 A variety of materials and colors will make the original design of home climbing wall and insert it perfectly into any interior. You can develop for children special “fabulous” design of children’s climbing wall, so that the child could feel himself the hero of the favorite fairy tales. Conquerors of the jungle, or an astronaut. 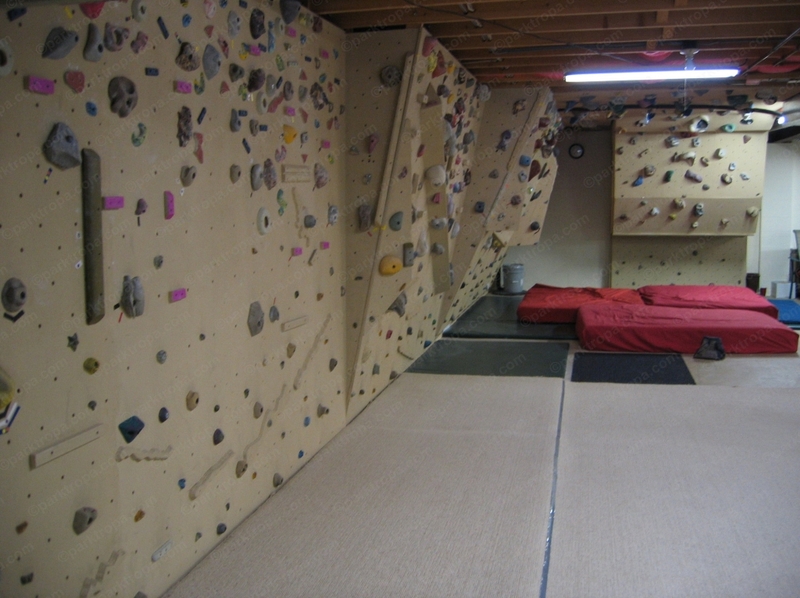 The presence of soft floor coverings (mats) and a low level of the wall makes this sport safe. 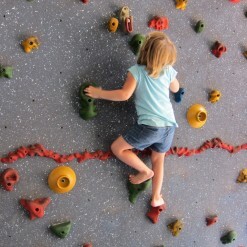 A child with a certain age can independently deal with; there is no need for special belay and instructor. 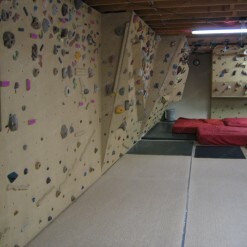 The simplicity and accessibility of home climbing walls and climbing walls for bouldering are growing rapidly. 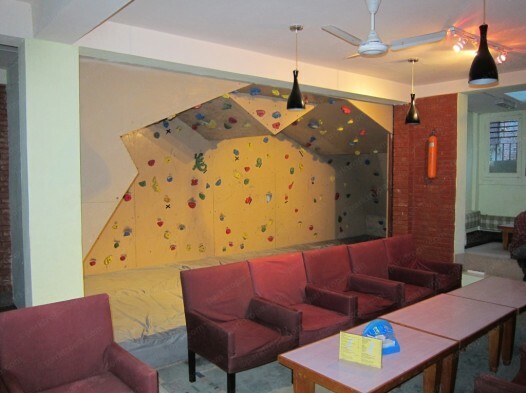 There are new sports climbing centers, where under the guidance of experienced mentors you improve the technique and grace of free climbing. 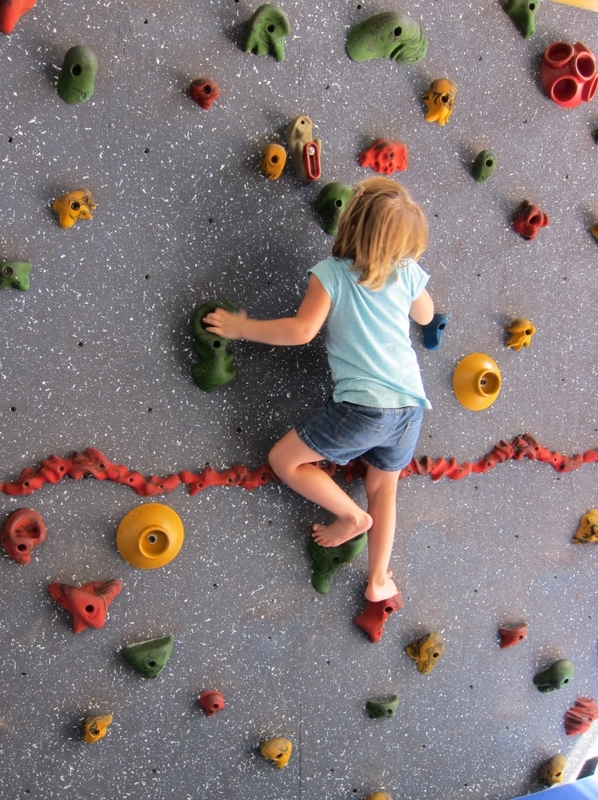 A climbing wall in your home will allow a daily train and consolidate the acquired skills and will give unforgettable joy to your children! 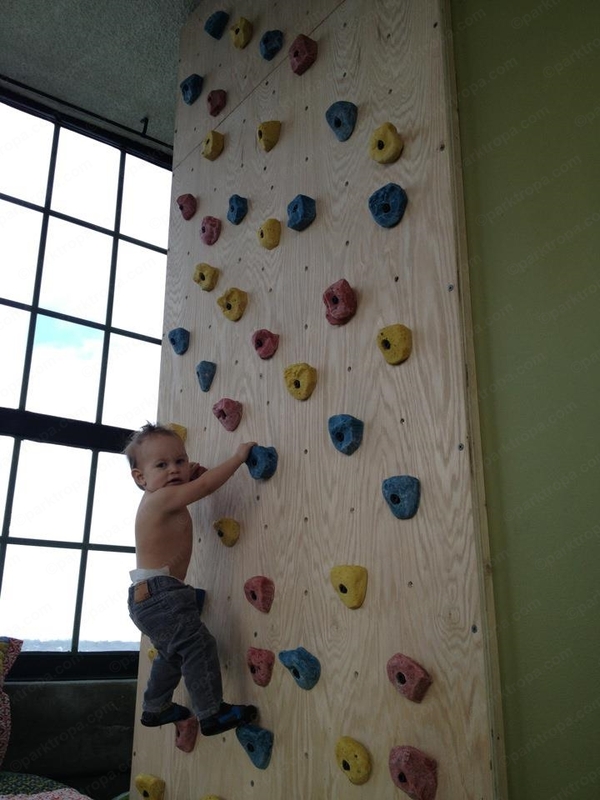 Climbing panels are mounted directly on the bearing wall or a special crate, allowing simulating the rock bends and overhanging. Panels of multilayer waterproof plywood. Suitable laminated bakelite or painted plywood. 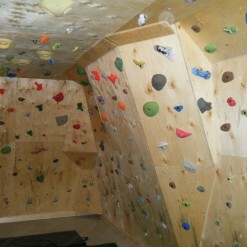 panels of plastic, made by special plants with bindings under the climbing hooks. 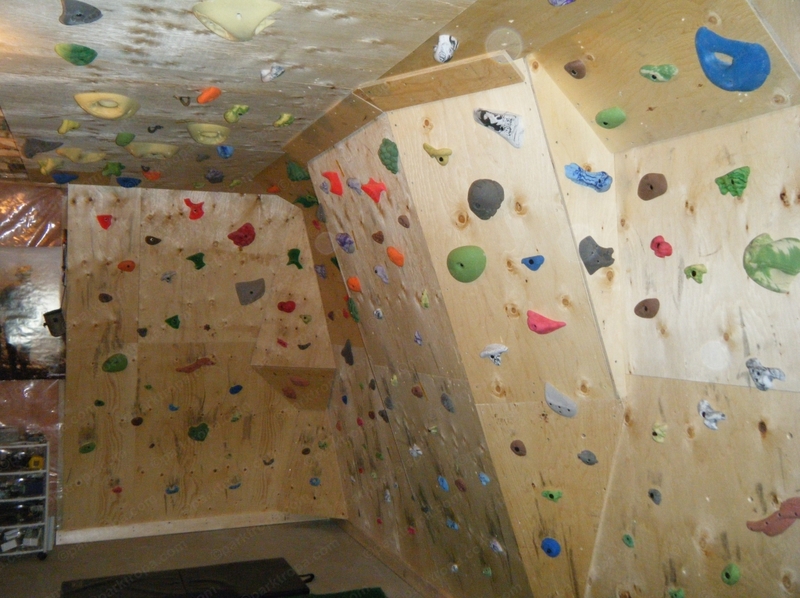 Plastic panels with simulated natural rocky terrain. 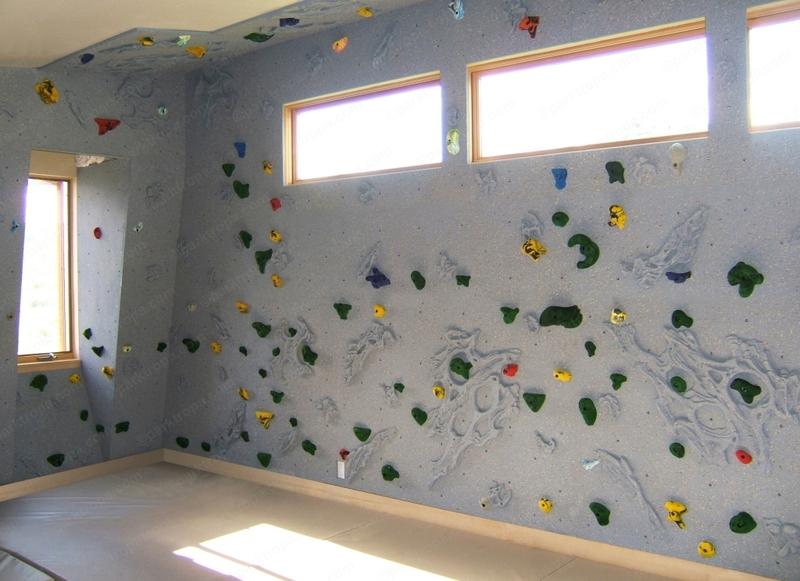 Possible to use granular surface of such panels for climbing without the installation of special climbing hooks. 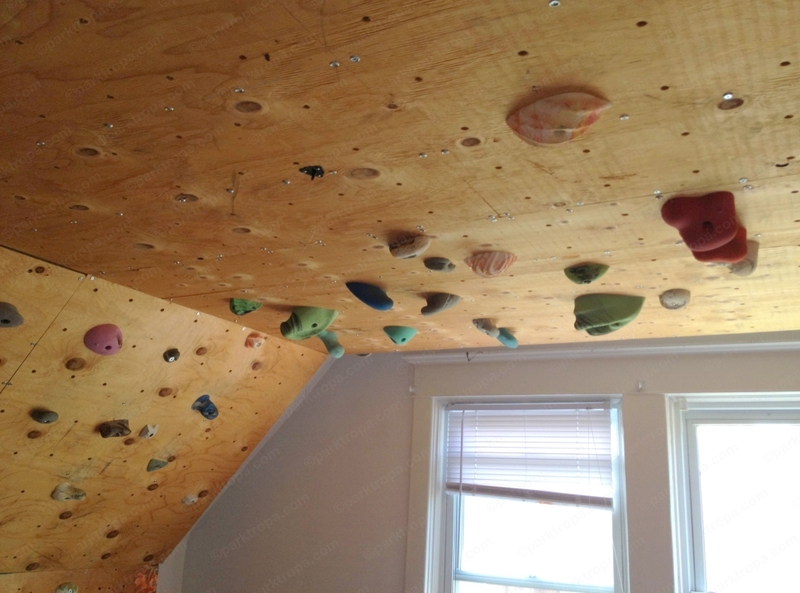 Today’s diversity of species of climbing hooks satisfy the most demanding athlete from children’s hooks amateur to professional sports reliefs. Just climbing hooks are manufactured in the factory and assembled on pre-prepared holes panels using special fasteners. 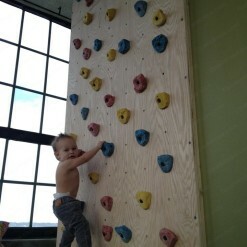 Order home climbing wall construction with us! We will find for you the best options in terms of price / quality / safety.